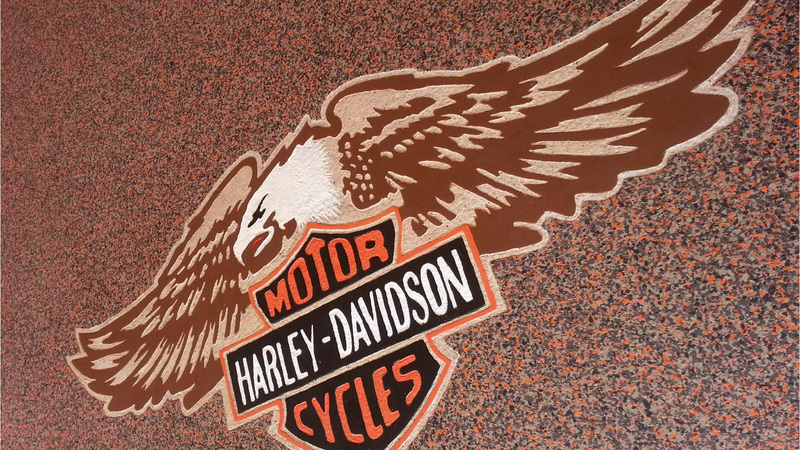 Stained & Dyed concrete is a type of concrete that has been treated with special acids and coatings that penetrate deep into the concrete and chemically change it, altering its color and adding colored compounds to the concrete to give it a new hue. 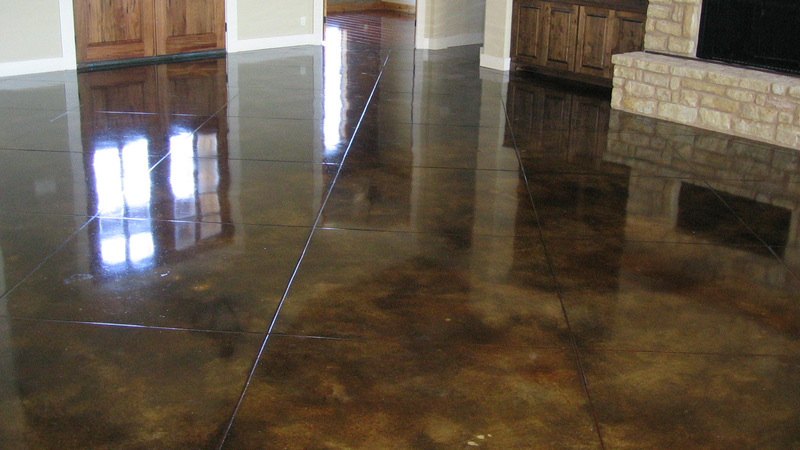 This process can be done to new or older concrete, and homeowners can choose to stain concrete on patios, in basements and in nearly any other area with a level concrete floor. Because there are so many hues available with the acids used to stain concrete, homeowners can give their concrete nearly any look they want. With the right stain and patterns, they can even make the concrete resemble types of natural stone. Staining is also an opportunity for a homeowner to include patterns and designs on the concrete surface to make it look more intricate. Concrete staining does not apply a paint surface to the concrete, so there is nothing to chip or peel off over time. This means that the concrete stain can last much longer than any coatings, as long as it is regularly resealed to protect the concrete from any further chemical reactions. The stained designs, when properly taken care of, can also survive moisture damage. Older concrete often has had a sealant applied and layers of oil or dirt that must be completely removed for it to be stained. Any cracks, chips or uneven places in the concrete will remain even after the staining, making it difficult for homeowners to make an old concrete surface look as neat as new concrete. Also, different types of concrete react differently with the acid stains, and homeowners may not know what type of concrete comprises an old floor. 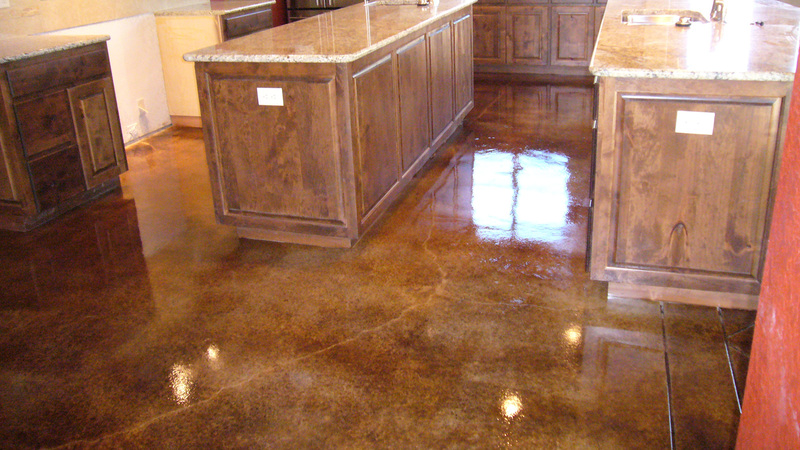 Staining concrete requires several stages and a lot of time. 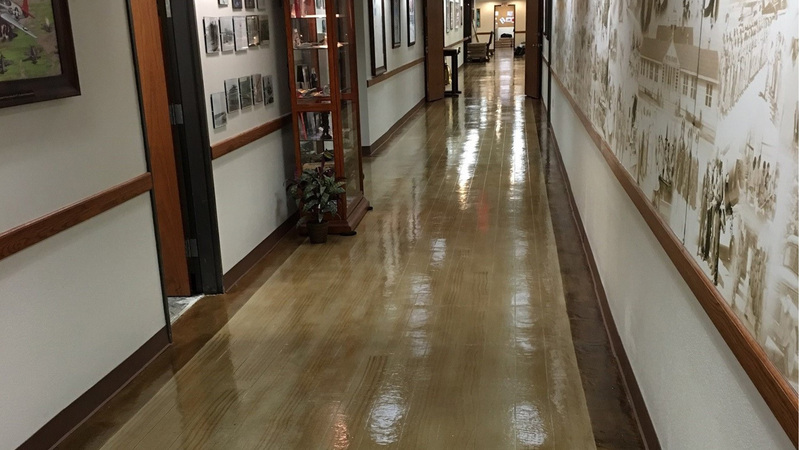 Stained floors in heavy traffic areas typically require additional Sealer requirements such as Epoxy and Polyurethane. 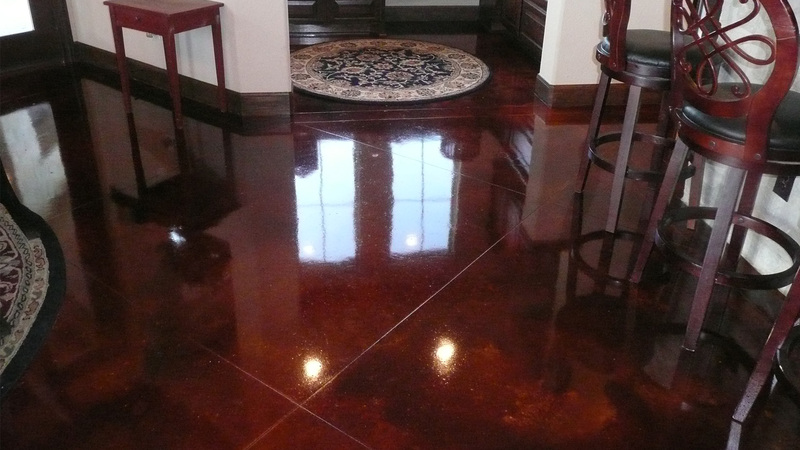 Residential floors typically use Acrylic Sealers which are easier to maintain. The key is the amount of traffic for the floors being considered for Stain/Dye Vs Polish or Epoxy Coating. Once it is finished, the floor must be regularly cleaned and resealed every few years as necessary. Homeowners may be tempted to stain their concrete themselves, but creating authentic stone patterns or designs with the acid stain is difficult work and can usually only be done by professionals. Homeowners may do more harm than good by trying to mix stain effects improperly or choosing the wrong sealer to cover the concrete afterward.